This past week I was contacted via Reddit by Anthony. 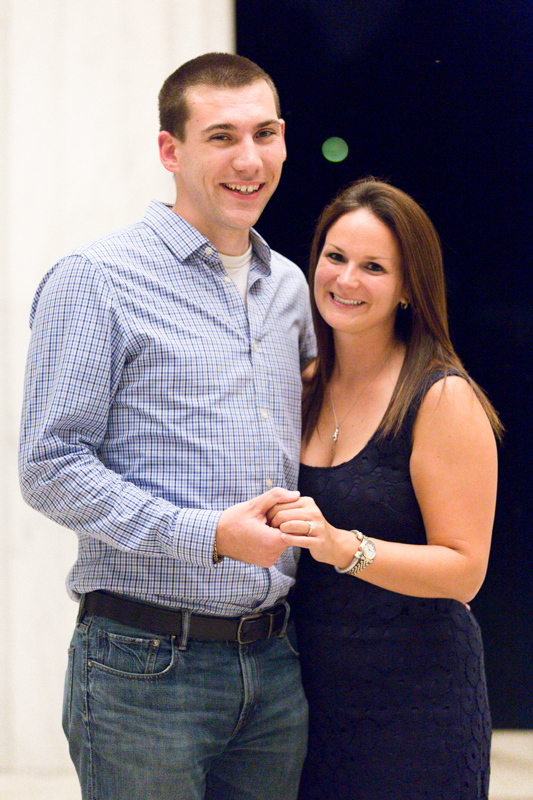 Anthony was planning to propose to his girlfriend Sarah and was looking for a photographer who would be able to cover the event. 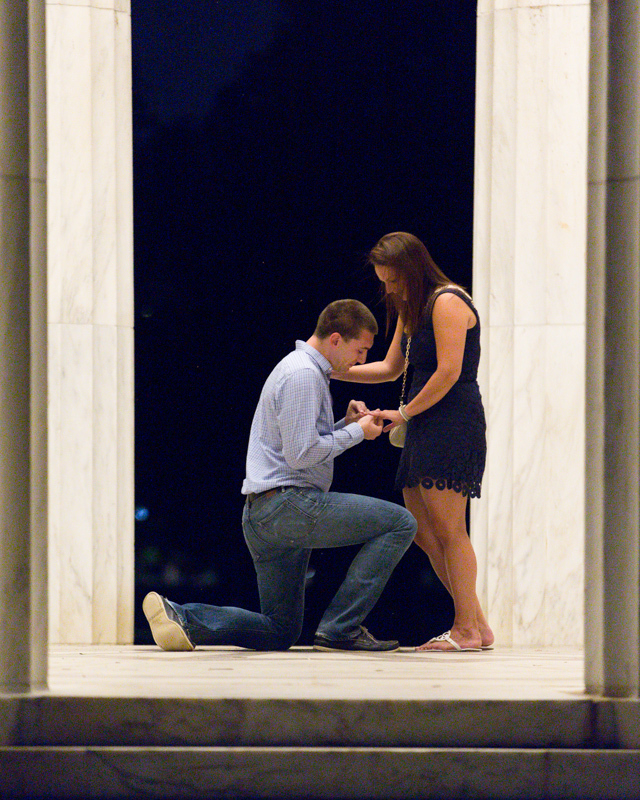 As we discussed the details it became clear that Anthony had planned out the entire night and that this assignment would be a bit difficult but very rewarding. 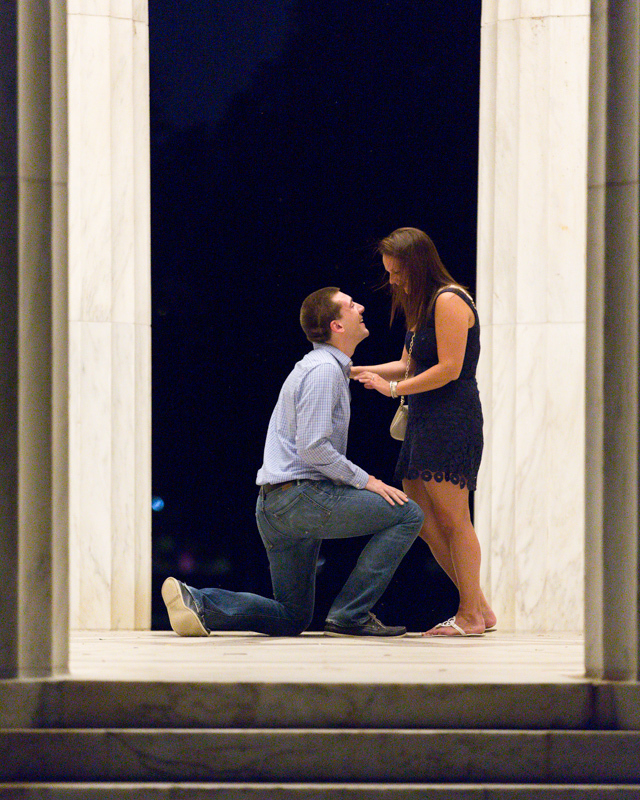 A proposal photoshoot has a number of difficulties – the whole thing, no matter how well planned, is a bit spontaneous. There is no guarantee that light, location, or weather will cooperate. 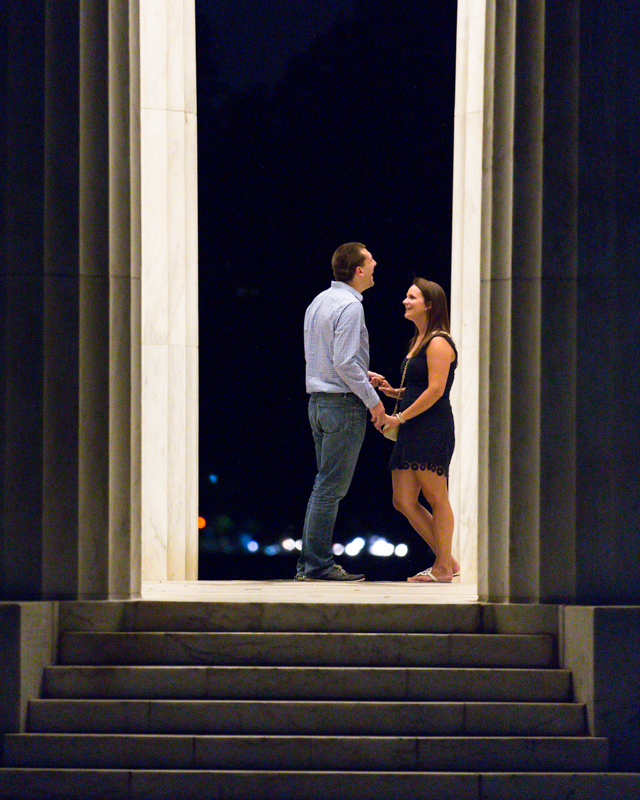 There’s literally no way to pose anything and there’s only one chance to capture what is a very historic event in two peoples’ lives. It’s also the photographer’s responsibility to remain as hidden as possible to not “ruin” the moment (ninja skills come in handy here)! 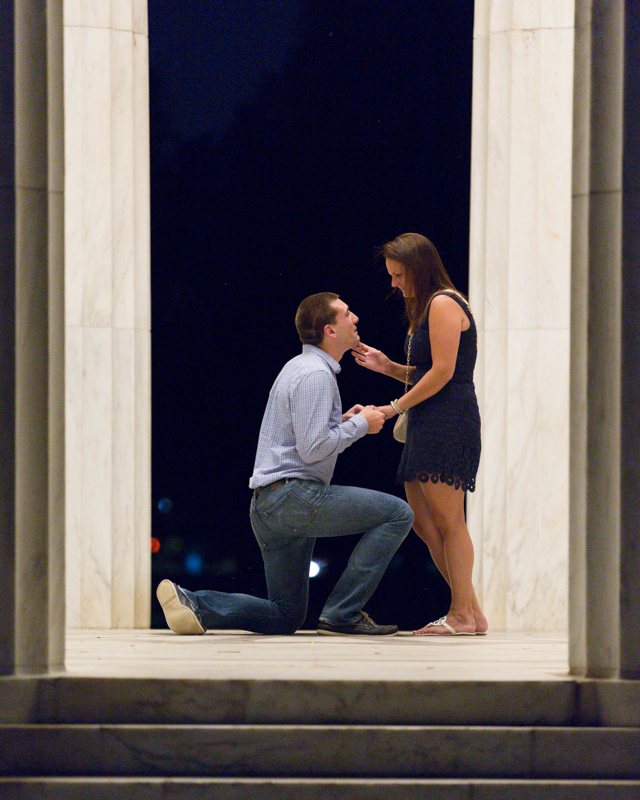 No matter how challenging each proposal photoshoot is, each is very exciting. 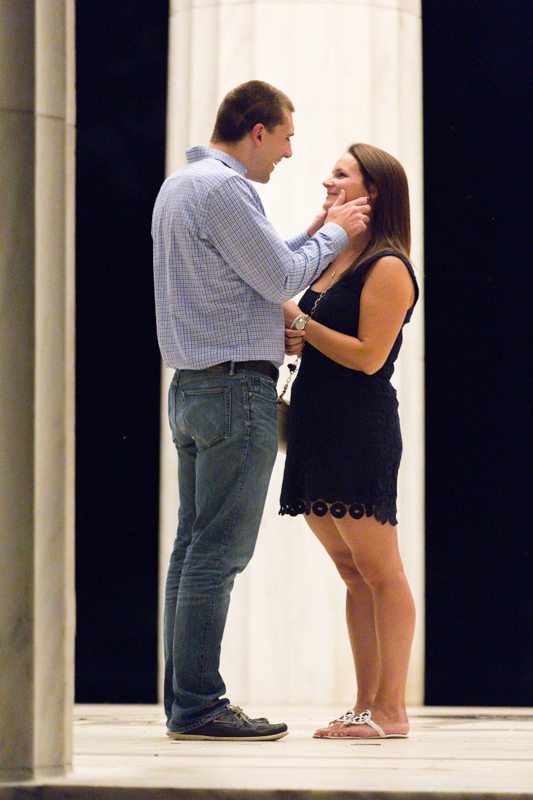 It’s an honor to cover such an important event and (usually) be the first to congratulate the newly engaged couple. It’s an amazing feeling. I gave Anthony a handful of tips to keep in mind and assured him that if he forgot about them in the heat of the moment that everything would still be covered. 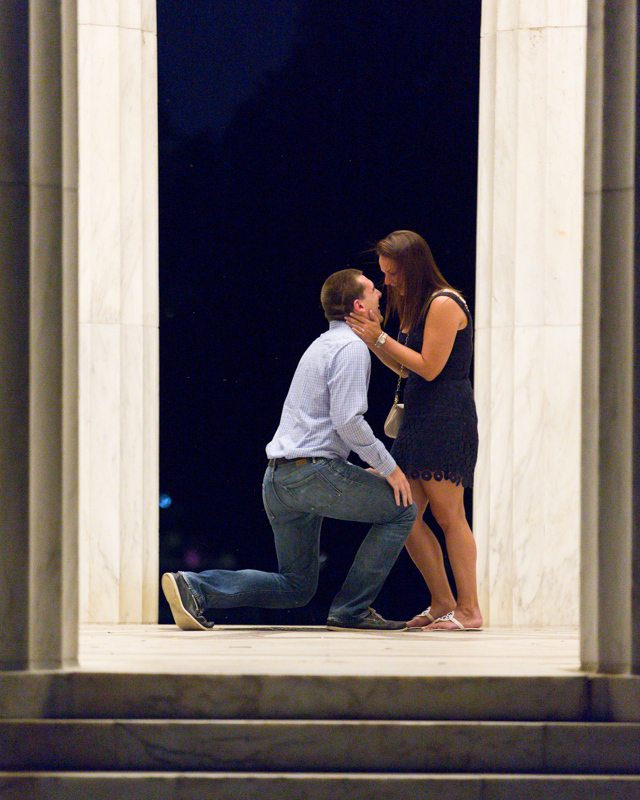 The proposal was to take place at the DC War Memorial after a dinner in DC. As we were shooting for 9 p.m., the main complication with the late shoot time was the absence of the sun. I arrived about 30 minutes early to scope out the location, get a feel for foot traffic, and to meter the light. 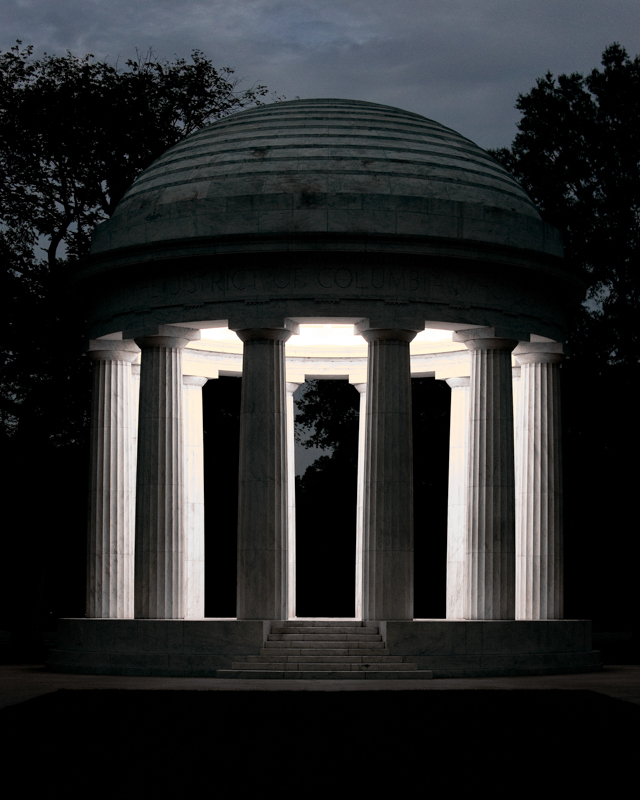 The weather was perfect, there was very little foot traffic, and the memorial’s light wasn’t that bad! Anthony and Sarah arrived around 9:15 p.m. The next photo series will show you what happened. 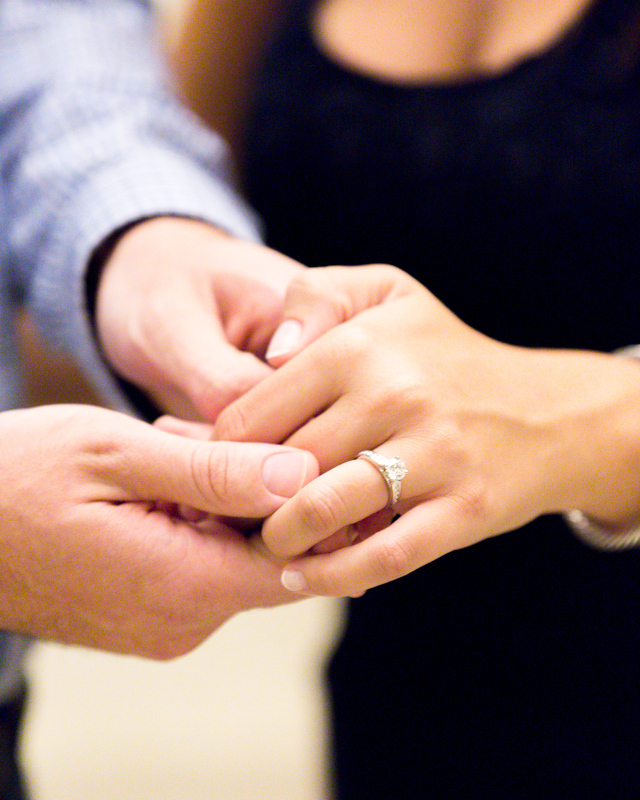 All images were taken with a Canon 5DIII and a Canon 70-200 f/2.8L II.